SSUPSW Bihar Admit Card 2019: Below are the admit cards published by SSUPSW Bihar - State Society for Ultra Poor and Social Welfare, Bihar (SAKSHAM) / www.sids.co.in. The recent Admit Card issued for the recruitment drive is Technician, Driver & Other Posts Admit Card 2019. 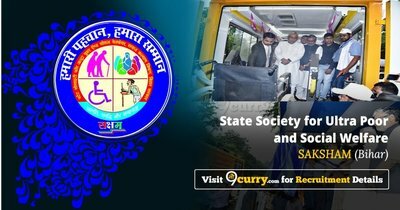 SSUPSW Bihar Technician, Driver & Other Posts Admit Card 2019: State Society for Ultra Poor and Social Welfare, Bihar (SAKSHAM) has issued the Admit Card on 23 Mar 2019 for Technician, Driver & Other Posts Exam 2019.